There’s nothing better than a teams’ event to get a poker room pumping, and that’s just what happened in the Poker Room at Burswood last night with 88 players signing on for the $550 Western Classic Teams Event. 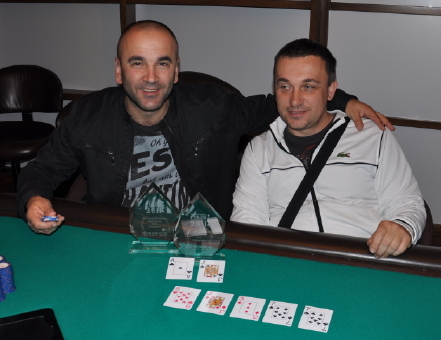 After almost eight hours of poker, the team of Jovo Scekic and Predrag Jovanovic prevailed to pocket the lion’s share of the $22,000 prizepool. 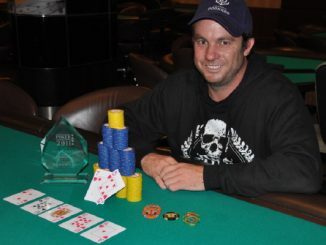 One of WA’s best known players, Scekic won the High Stakes event at ANZPT Perth earlier this year but is best known as one of the country’s most accomplished high stakes online cash exponents. The Western Classic continues today with a trio of $250 single-table satellites to the Main Event (at 12.30pm, 2.30pm and 4.30pm local time) before this evening’s $330 No Limit Hold’em event, starting at 6.30pm.